When Cara Liebowitz graduated from the City University of New York School of Professional Studies in 2016 with her MA in Disability Studies, she was already on Supplemental Security Income (SSI) so she found it surprisingly easy to have her student loans discharged. The process of applying for total and permanent disability discharge for federal student loans through the Department of Education can involve documentation from the Social Security Administration, the U.S. Department of Veteran Affairs (for veterans), or a physician. If applicants use the SSA for their documentation, they’re required to show proof that they are eligible for Social Security Disability Insurance (SSDI) or SSI, including a copy of their SSA notice of award or Benefits Planning Query showing that their next scheduled disability review will be five to seven years or more from the date of their last SSA disability determination. “I went into the process understanding that if I got a job within a certain amount of time, the loans would be reinstated,” says Cara. For three years after a disability discharge, applicants are monitored, and they must meet certain requirements: They can’t make more money from employment than their state’s poverty guidelines for a family of two, they can’t receive a new federal student loan or TEACH grant (for students who are planning to become teachers in a high-need field in a low-income area), and they can’t receive notice from SSA that they are no longer disabled. Cara wondered whether she should stop looking for full-time work but chose to keep applying. Maybe a month after her loans were forgiven by the federal government, she got a position as a development coordinator for the National Council on Independent Living (NCIL). Disabled college graduates are often at a disadvantage when it comes to paying off student debt. They may not be eligible to have their loans discharged or may face significant barriers if they aren’t already receiving SSI or SSDI (and applying for either is a lengthy process in itself). To qualify with just documentation from a physician, applicants must have a doctor certify that they’re unable to engage in substantial gainful activity due to a physical or mental disability that can be expected to result in death, has lasted for at least 60 months, or can be expected to last for at least 60 months. And substantial gainful activity is defined as paid work or “significant physical or mental activities” or a combination of both. The only positive is that many graduates who do have their loan discharged will not have that debt cancellation treated as income. Before the The Tax Cuts and Jobs Act changed the tax status of the cancellation of student loan debt when the borrower dies or becomes disabled, the cancellation of debt was treated as income to the borrower (or the borrower’s estate). Many graduates with disabilities who are unable to qualify for total discharge of their loans struggle to pay off their debt. Unless they are able to qualify for discharge, like Cara initially was, they might be on the hook for high monthly loan payments. It’s harder for disabled college graduates to find jobs and work—and subsequently, to pay any student loan bills they might have. A disproportionate number of people with disabilities are unemployed or underemployed. According to the United States Department of Labor, only 60.1% of men and 51.4% of women with disabilities are employed, and many disabled people are still paid subminimum wages for their employment. Job applications frequently include ableist language about physical requirements such as standing, walking, lifting up to a specific number of pounds, or the ability to see and hear, even though the workplaces are required by the ADA to make reasonable accommodations. Applications also sometimes include that candidates must have a valid driver’s license and their own private vehicle, even for positions where driving is not part of the job requirements like it would be for a delivery driver. Paying your loans is particularly challenging when you have a disability and don’t work a full-time job with benefits. According to a survey by Discover Student Loans, more than half of recent graduates said they are worried about needing to work extra jobs to afford their student loan payments. Although this survey included people ages 24-28, the same problem faces older college grads as well. Johnnie Mazzocco, a 60-year-old adjunct professor who is starting her own business, received her education later in life, starting college in 1990 and finishing in 2008 with an MA in English and Film Studies and an MFA in Digital Arts from the University of Oregon. All of her student loans are through the federal government (none are through private lenders) and her total debt is $200,000. “I always feel like I’m trying to dodge a bullet,” Johnnie says about her debt. “The idea of getting much older and not having money and not being able to take care of myself terrifies me.” Last year, she put her loans on hold under forbearance so she could try to get her business off the ground. The loans are about to go back into repayment. When Johnnie received a computer-generated letter saying she would have to make monthly payments of $700, she spoke with representatives over the phone. The representative couldn’t give her an exact amount that her new payments would be—only that they could be even higher, up to $2,000 per month. When she started college, Johnnie knew that she’d have to deal with her student loan debt eventually. But she was a single mother and felt she had no other option than to try to better her situation through higher education. She feels that the colleges she went to made her aware of every opportunity to receive scholarships and grants in place of loans, and she applied to everything that was available. Since graduating, Johnnie has made ends meet as an adjunct professor at several colleges and has also worked as a copywriter, housekeeper, and bartender to supplement her income. The reason she’s been trying so hard to start her own business is so she can finally have financial freedom and make her health her number one priority. In 2005, Johnnie began having health issues that doctors believe are related to an autoimmune disorder. She’s received several diagnoses, including Mast Cell Activation Disorder, and her symptoms—including vision problems, migraines, severe body pain, inflammation, sore muscles and joints, and brain fog—make it extremely difficult for her to work. Right now, she works from home and needs the flexibility in order to survive, like she did this past October when she spent most of the month working from her bed. “Working at home is a saving grace to me,” she explains. Many disabled college grads don’t have access to that option: They can’t do their jobs from home and work in an inaccessible, inflexible, and unaccommodating workplace. That’s the situation that Katie Tastrom, a writer, lawyer, and activist who lives in Syracuse, New York, is facing because she can’t find work that accommodates her disability. Katie was freelancing but recently had to quit almost all her work because of her health, although she does some public interest law work when she’s able to. “Ableism makes us less likely to be hired and some disabilities like mine make it impossible to work at all,” she says. While she was still in law school, Katie lost her scholarship because she had to drop to part-time student status to accommodate her health issues. This resulted in her having over $200,000 in student debt, which she says would be at least half that amount had she not lost her scholarship funding. She says that if the college had been able to pro-rate her scholarship to accommodate her part-time schedule, it would have been immensely helpful to allow her to graduate with less debt while still being able to succeed as a student. Like many disabled people, Katie wasn’t able to work while she was a student to make up for the loss of her scholarship and needed to take out additional student loans. Although working while you’re in school is often touted as advice for graduating with fewer student loans, many college students with disabilities are unable to juggle both schoolwork and work. Options for employment might also be inaccessible and unaccommodating—the office might be in a building without an elevator or the job might require physical and mental tasks that not everyone can do. Employers still discriminate against people with visible disabilities and many aren’t willing to provide reasonable accommodations even if a disabled person is the best fit for the job. There also aren’t many options for disabled college grads who need help paying off their student debt but who don’t qualify for total discharge. Although she does public interest work, Katie doesn’t qualify for the Public Service Loan Forgiveness Program (PSLF) like Candis Welch, a procurement analyst at the Los Angeles Homeless Service Authority who received her Master of Public Administration degree. Candis and other graduates who use the PSLF program need to work full-time for a nonprofit organization or government agency and make 120 qualifying payments toward their debt before the rest of their debt will be forgiven (and not treated as taxable income). It’s a great option for both disabled and nondisabled college graduates, but you need to be working full-time at a qualifying organization, so it’s not an option for disabled people who are working part-time or freelance at nonprofits. Student loans are a critical disability rights issue for exactly that reason: They often impact disabled college graduates uniquely because of the ways that ableism and inaccessibility make it difficult to move through the world with a disability. It’s not easy to make ends meet for many people with disabilities and according to the U.S. Census Bureau, a quarter of working-age adults with a disability lived in poverty in 2017. Many disabled people rely on meager earnings from SSI or SSDI. Disabled grads also may not be able to work full-time but aren’t eligible for SSI or SSDI, or don’t want to apply because they’re still working part-time or trying to find work. It can be an impossible burden to make monthly student loan payments with limited income on top of medical expenses and the many additional costs of living with a disability. Currently, there are no programs that help disabled college graduates manage their student loan debt. 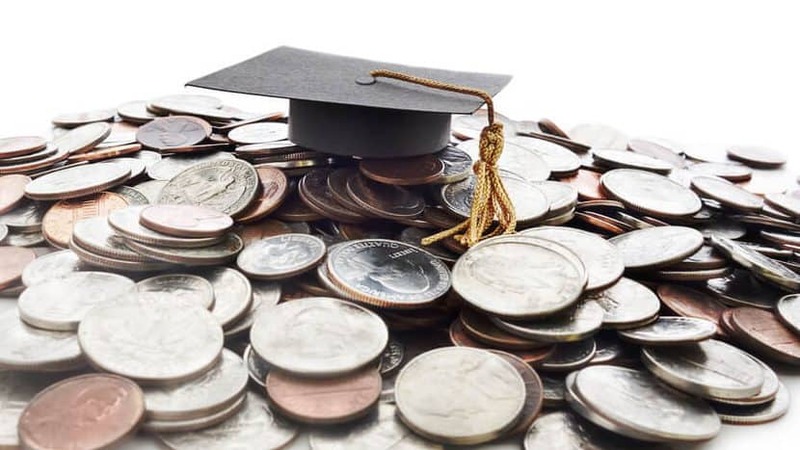 Grads with federal loans may qualify for an income-based repayment plan that could help lower their monthly payments, but they can still have a high overall balance on their account due to rising interest rates. Defaulting on student loans can have a dramatic negative impact on your credit score and make it more difficult to do things like buy a car, buy a home, or take out any other loans. If you’re not able to fix the situation by paying the overdue amount, eventually, federal loan agencies can garnish your wages and withhold your tax refunds to pay off the balance. As such, programs that ease the burden of student debt would be helpful to everyone, not just disabled college graduates, because they would allow more of the 44 million people in the United States who have student loans to do things like save money for emergencies, buy homes, start businesses, and invest in the economy. And it would be very beneficial to disabled graduates if programs existed to help forgive all or some of their student loan debt, even if they don’t qualify for total discharge and are still working. One option would be implementing programs for disabled people while they’re still students in college to help them not accrue as much debt—programs that offer scholarships and grants even to those on a part-time student schedule or subsidies to help students afford the cost of living so they can graduate with less student debt. Disabled people have a powerfully positive impact on the world, not just through careers and paid employment, but also through involvement with the community, volunteering, and creating art. And when disabled people aren’t worried that they will have to choose between paying their next student loan payment or paying for the co-pay on their medication, we have the opportunity to thrive, making society richer for all. While I appreciate Rooted in Rights addressing this situation however it wouldn’t be difficult to find ONE disabled person who didn’t have the help of their parents to pay off their loans. There are many of us. I’ll happily discuss it here.